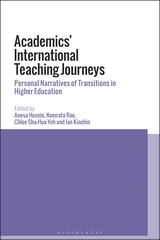 International Academics' Teaching Journeys: Personal Narratives of transitions in Higher Education, edited by Anesa Hosein, Namrata Rao, Chloe Shu-Hua, and Ian Kinchin and coming out with Bloomsbury Press. With a stronger focus on the teacher’s role and emerging alternative pedagogies in diverse settings, this thoroughly updated second edition draws on research by scholars from the Americas, Australia, Africa, Asia, Europe, and the Middle East. Comparative and International Education offers an overview of the history of comparative education and educational development, exploring issues related to social justice, human rights, gender equality, and Indigenous knowledge in the classroom. Appropriate for use in undergraduate and graduate education courses, this edited collection will help students better understand how globalization has impacted the classroom and led to the internationalization of schooling. KATHY BICKMORE is a Professor of Curriculum, Teaching, and Learning at the Ontario Institute for Studies in Education (OISE). RUTH HAYHOE is a Professor of Comparative Higher Education at OISE. CAROLINE MANION is a Lecturer of Comparative, International, and Development Education at OISE. KAREN MUNDY is a Professor of Comparative, International, and Development Education at OISE. ROBYN READ is a doctoral student at OISE. Negotiating Identities: Anglophones Living and teaching in Quebec Diane Gérin-Lajoie, University of Toronto Press 2016, has a new book with the University of Toronto Press based on three year investigation of teachers in Quebec’s English language school system. As members of an official linguistic minority in Canada, Anglophone teachers living and working in Quebec have a distinct experience of the relationship between language and identity. In Negotiating Identities, professor Gérin-Lajoie uses a critical sociological framework to explore the life stories of Quebec’s Anglophone teachers, providing a unique account of how they make sense of their lives as residents and teachers in Quebec. Revolutionary Learning explores the Marxist and feminist theorisation of dialectics, praxis and consciousness in education and learning. Moving beyond previous books on Marxism and education, this ground-breaking text explores the core philosophical concepts that build a Marxist analysis of learning, extending its critique with significant implications for critical education scholarship, research and practice by drawing upon work by feminist, anti-racist and anti-colonial scholars. The authors reconsider the contributions of Marx, Gramsci and Freire to educational theory from a feminist perspective, moving Marxist analysis of education into a more complex relation to patriarchal and imperialist capitalism. Recent OISE doctoral graduates who presented at the Congress include Dr. Jack Lee, Dr. Phirom Leng, Dr. Jian Liu and Dr. Yeow-Tong Chia. Dr. Jun Li who was a postdoc at OISE from 2006-2008 also presented. NO MORE EXCUSES: Provide education to all forcibly displaced people. 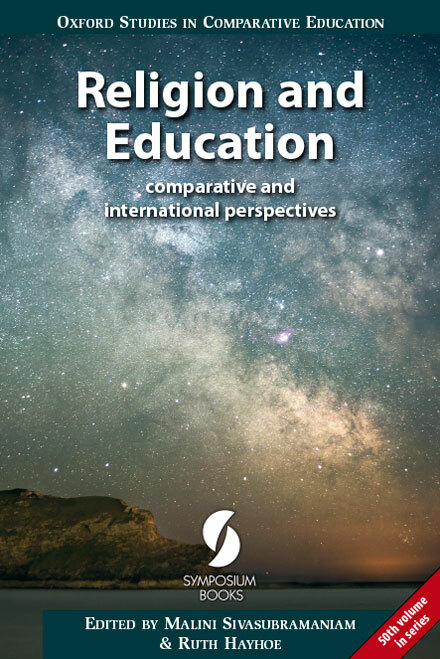 Comparative and International Education (formerly known as Canadian and International Education) has just published its latest issue. We invite you to review the Table of Contents here http://ir.lib.uwo.ca/cie-eci/ and visit our web site to read the articles and book reviews.